Looking for a green alternative on your next out-of-town trip? Element Hotels by Westin might be just what you need. Sensing that the old "hang-up-your-towels-if-you-don't-want-them-laundered" routine wasn't enough to earn true green street cred, the Westin family of hotels came up with a truly green hotel concept. 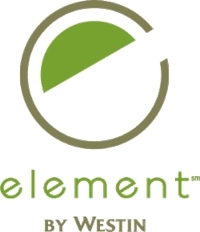 Element Hotels feature recycled room accents (cool wall art made from tires), permanent toiletry dispensers (no throwaway plastic bottles), low-VOC paints, water-efficient faucets and fixtures, and LEED-certified buildings. 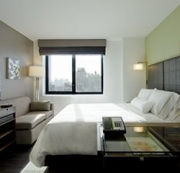 Even amid the hustle & bustle of Times Square, there's an eco-friendly oasis for travelers to enjoy -- that's where one of the Element properties proudly stands. 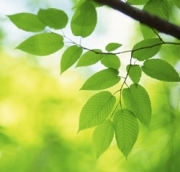 Need to keep it green even when on the road? Element Hotels make it easy with free bike rentals, in-room recycling, a 24-hour convenience store with basic food staples to prepare in each room's kitchenette, and even energy-generating exercise equipment in the hotel gym. Hotel staff are happy to direct guests to nearby farmer's markets, many of which are strategically located near the hotels themselves, making it easy to eat fresh, local, organic food. 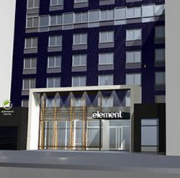 Element Hotels don't offer room service, cutting back dramatically on water and energy consumption at each property. Properties currently exist in New York City; Miami; Las Vegas; Omaha; Houston; Dallas (Irving); Princeton (Ewing), NJ; Lone Tree, CO; Hanover, MD; and Lexington, MA. Seven more properties are planned to debut by 2016 in the US, Canada, Germany and Oman. Click here to book a stay. Element Hotels by Westin strives to satisfy its guests’ needs while being kind to the environment. All guest room kitchen appliances are Energy Star rated. The hotels use as many recycled materials as possible in design, construction and decoration, from LED lighting and carpet made from recycled materials to in-room silverware, dishes and water-efficient faucets for use with foods purchased in the hotel lobby, intended to cut down on paper and plastic waste. 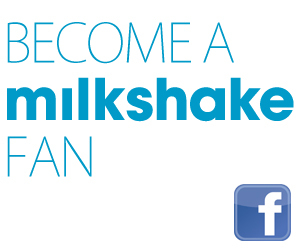 Element Hotels welcomed Milkshake to its Times Square location in December 2012 to provide a first-person perspective resulting in this article.